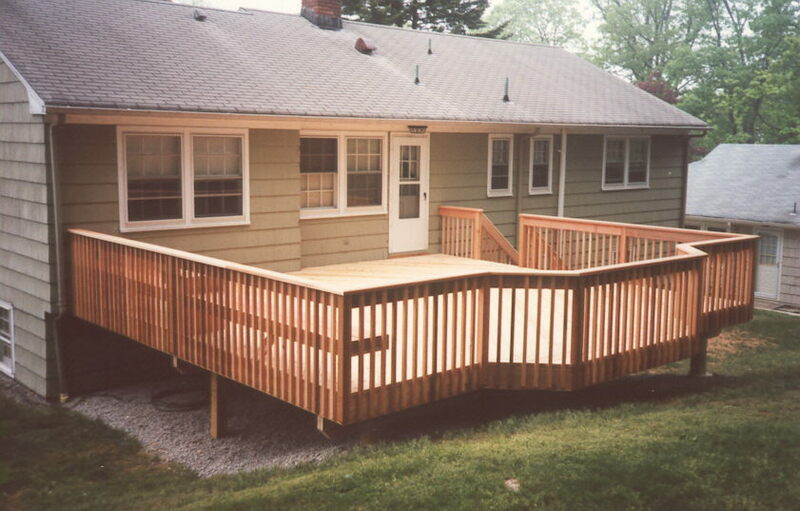 Click photos to enlarge any image. 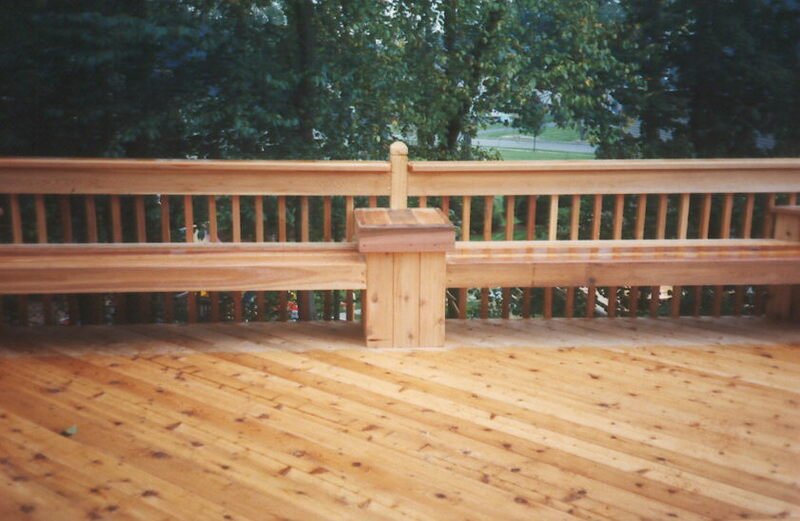 Cedar deck with benches, table and planter. 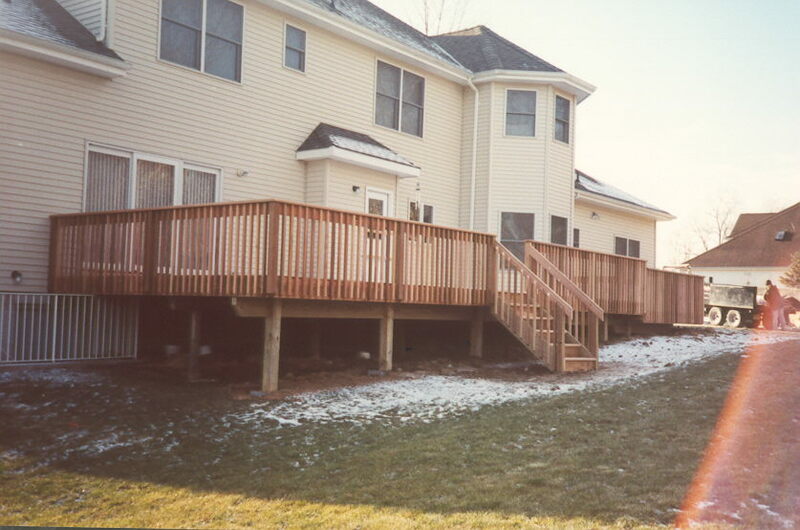 Custom 4x4 posts with angled cedar decking. 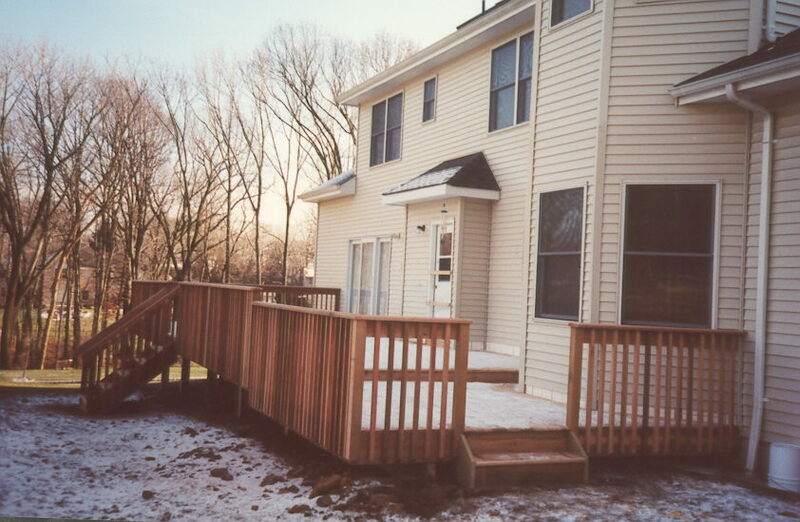 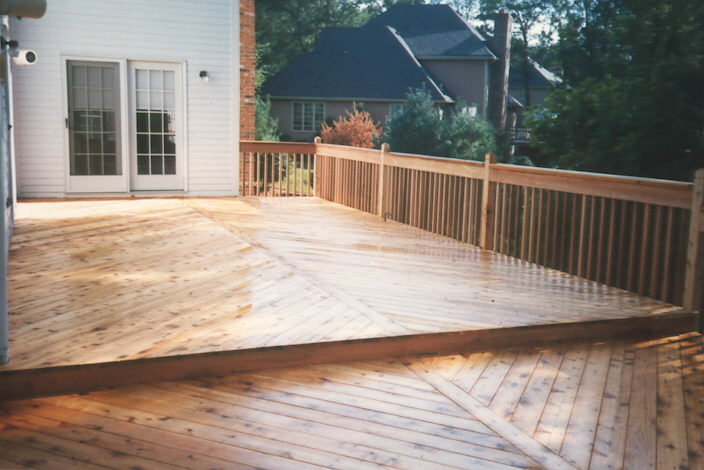 Step-down with diamond pattern decking. 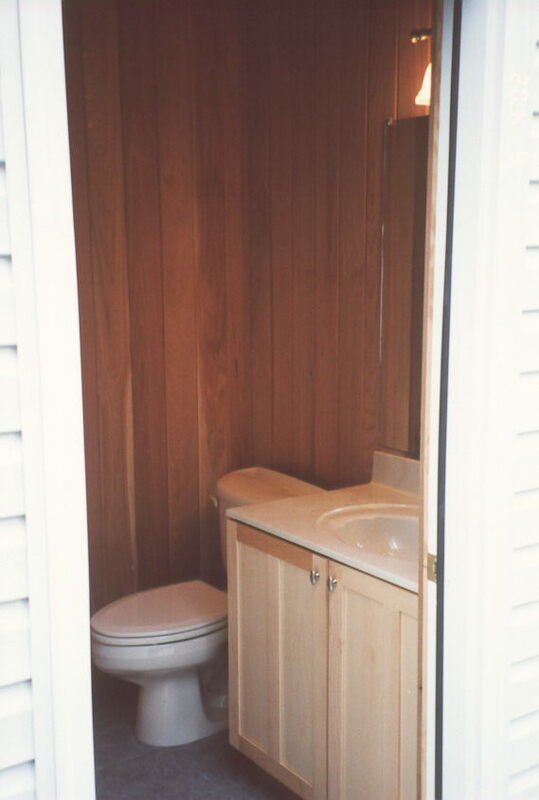 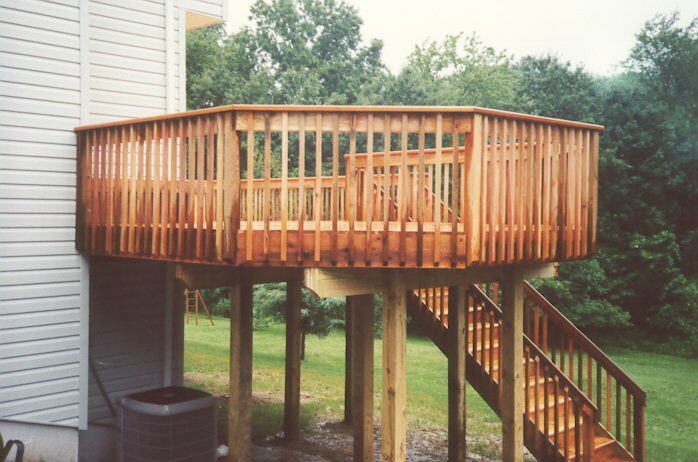 Cedar deck with raised section for hot-tub. 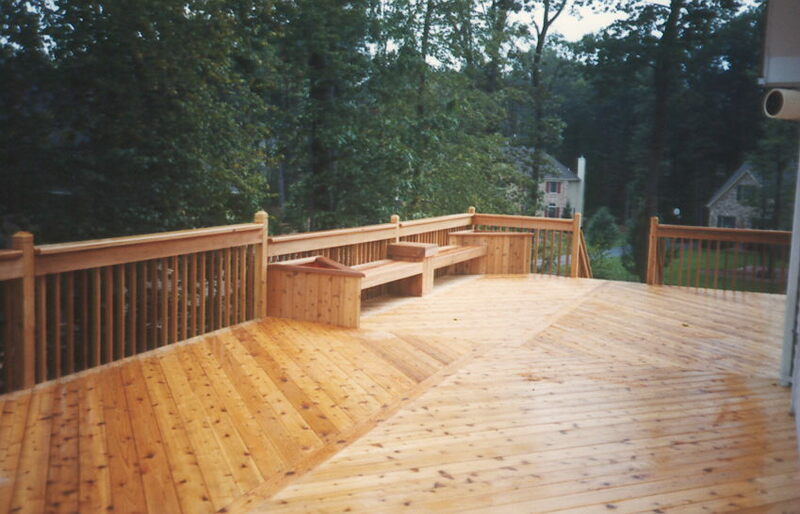 Same nice deck, different angle. 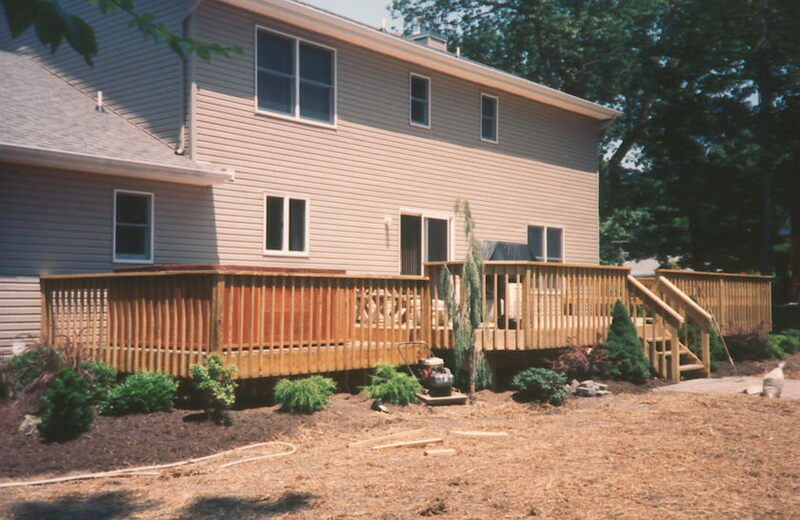 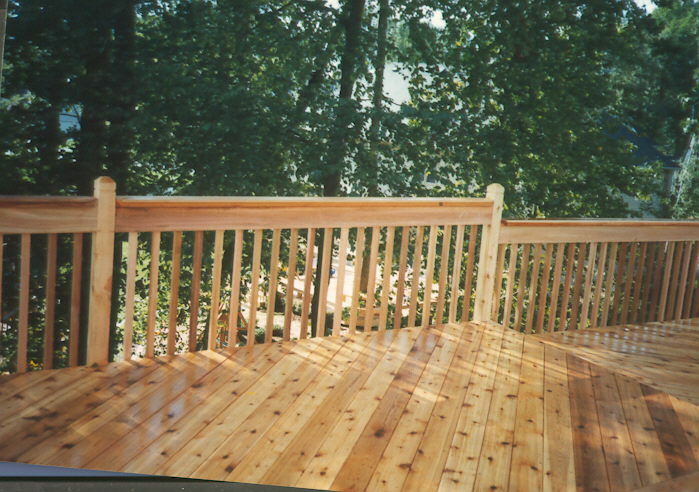 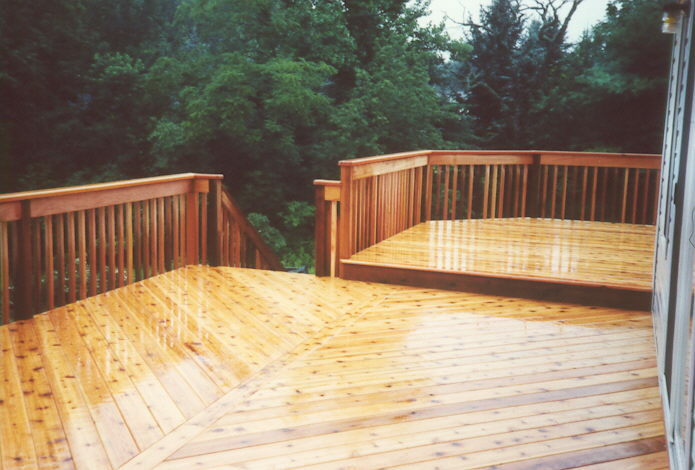 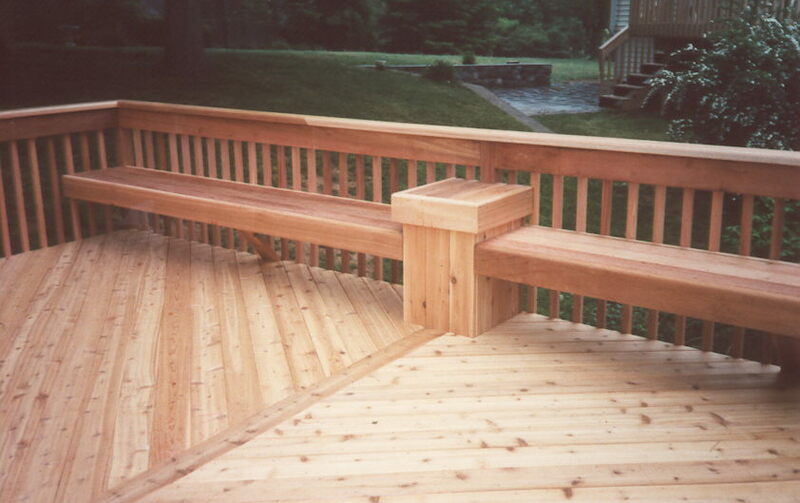 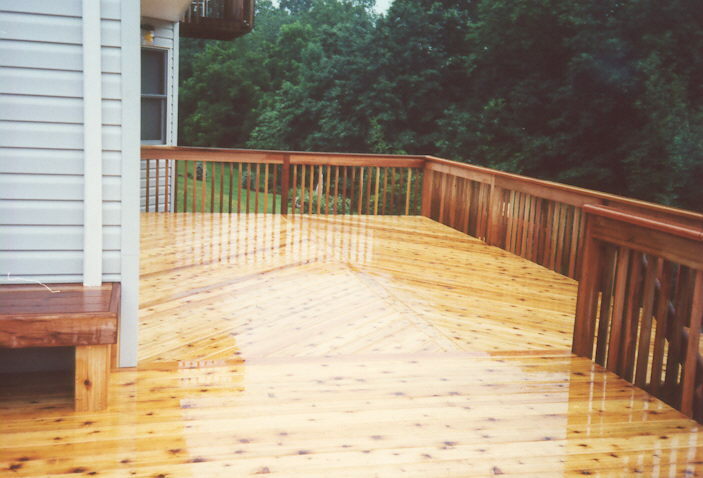 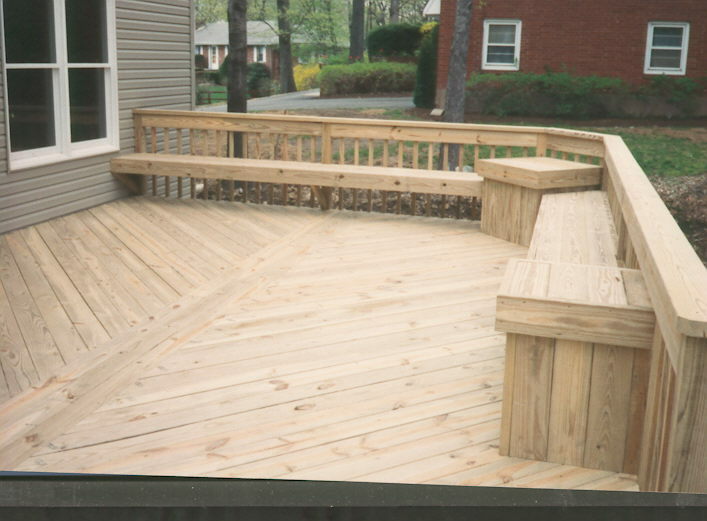 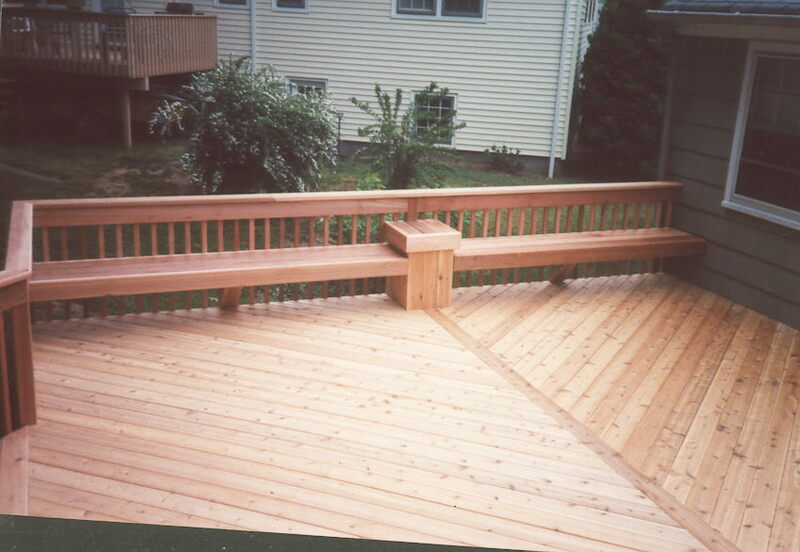 Cedar angled decking with center divider. 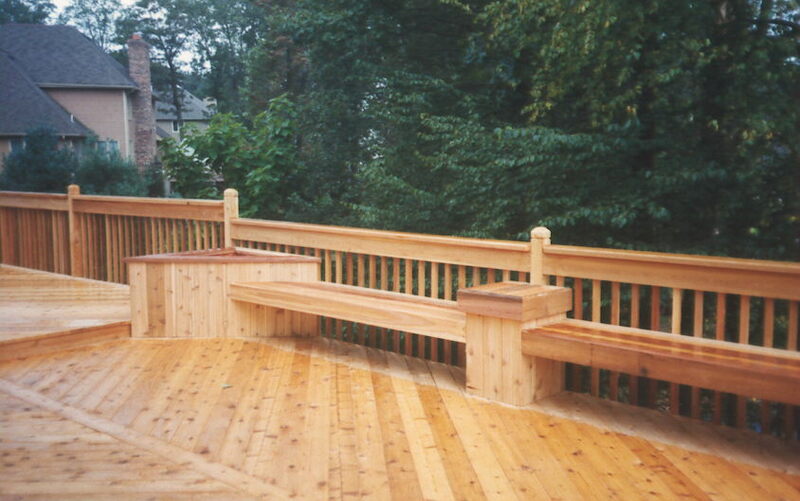 6x6 pressure treated supports on all our decks. 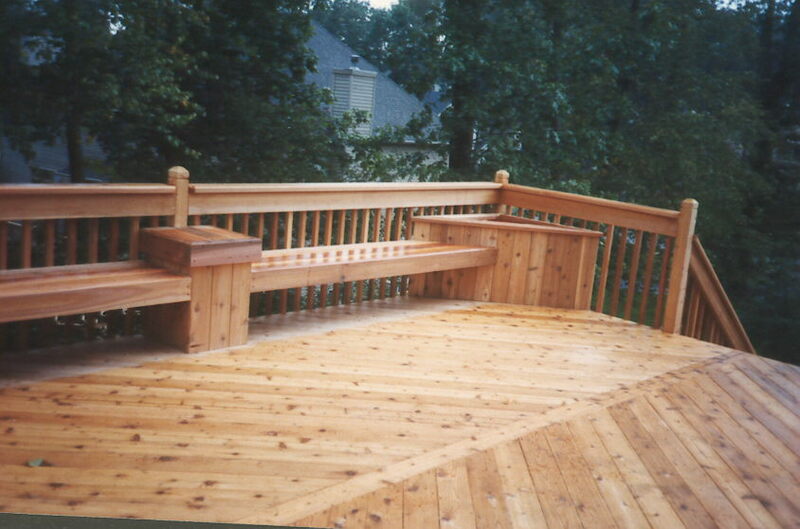 Cedar deck with BBQ grill alcove. 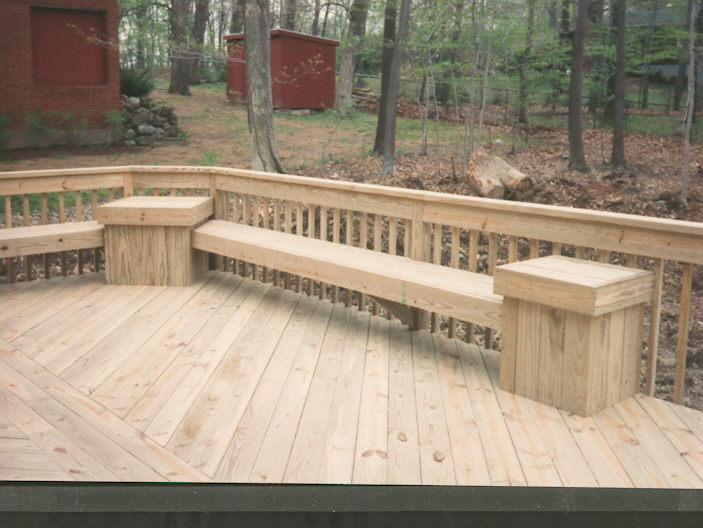 Benches reduce the cluter of lawn chairs. 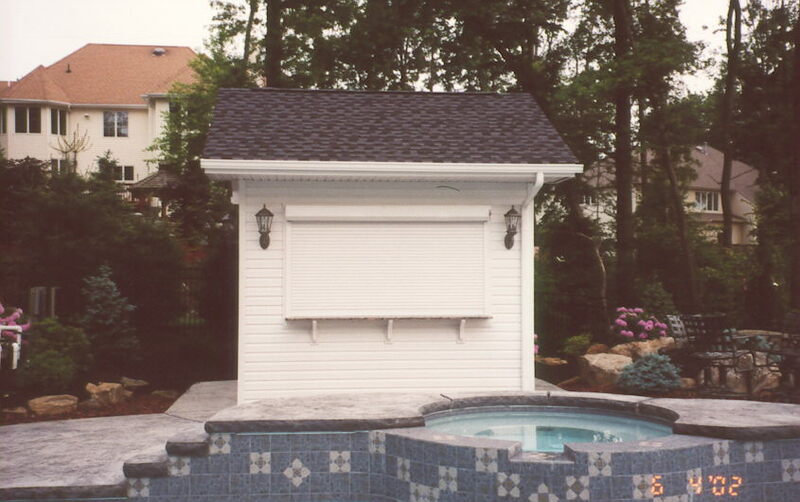 A better view of the BBQ grill alcove. 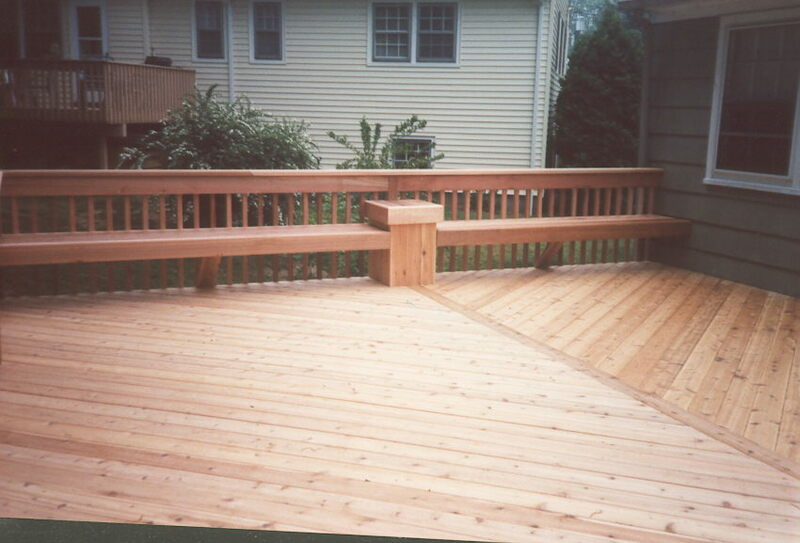 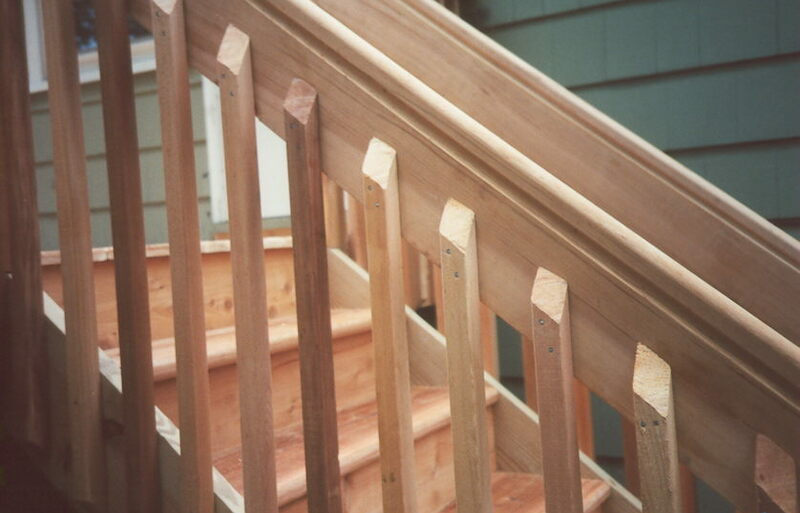 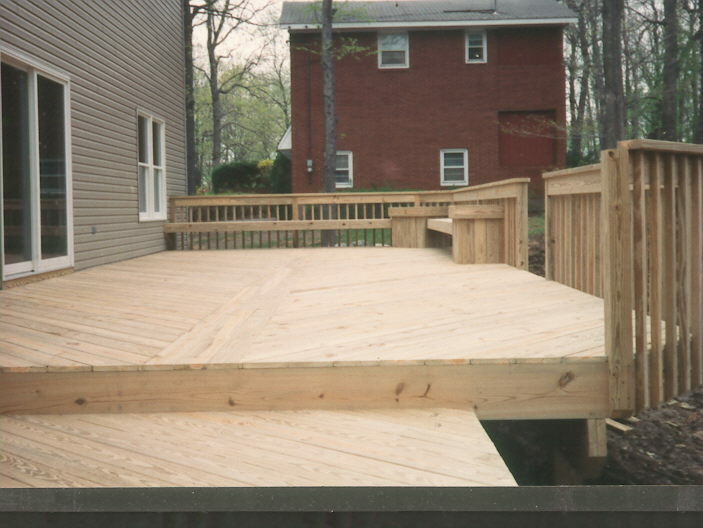 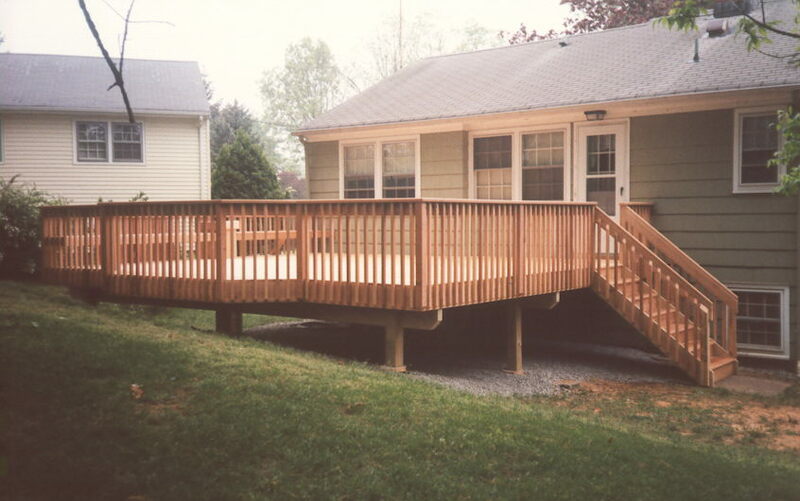 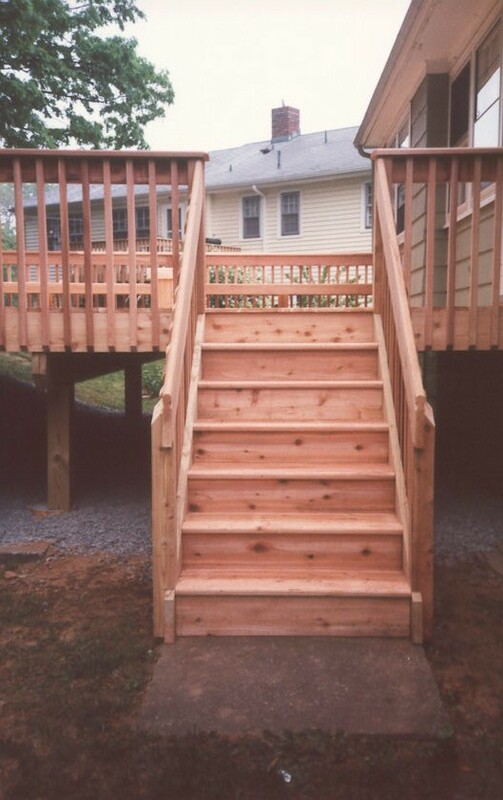 Pressure treated frames and supports for a long lasting deck. 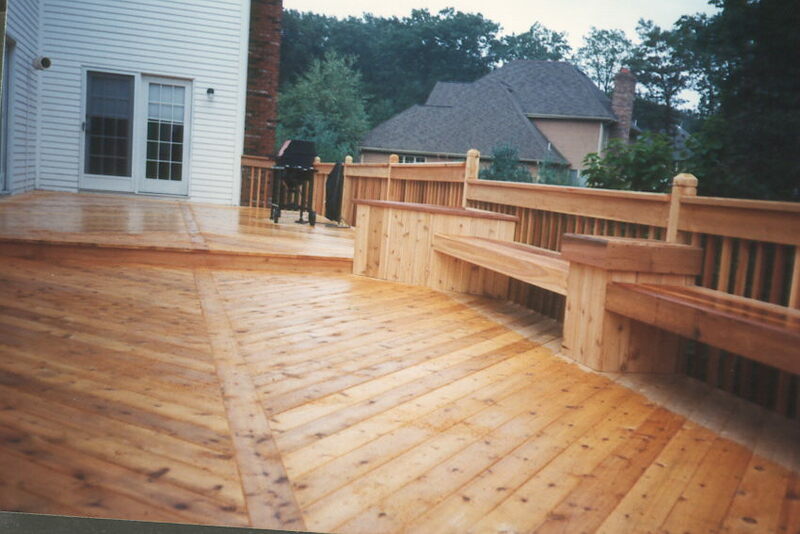 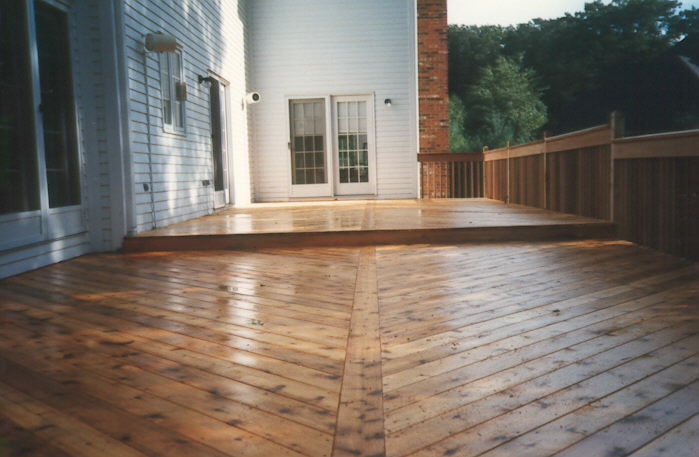 IPE Wood Deck (Maintenance free). 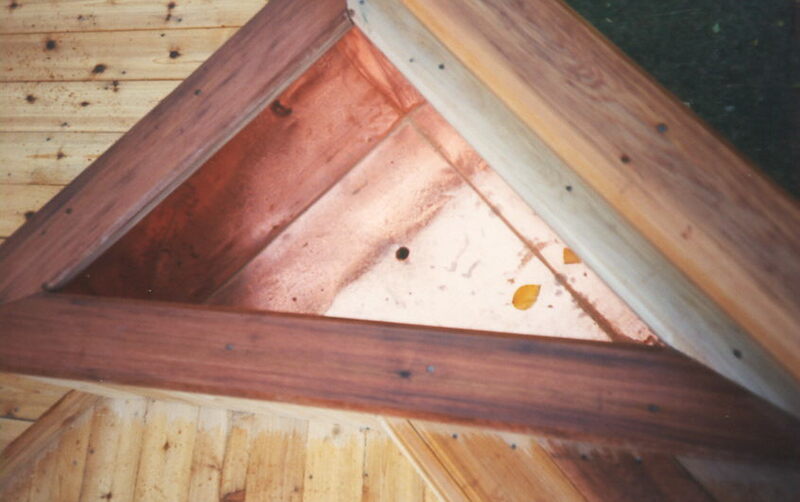 Copper-lined corner planter with drain hole. 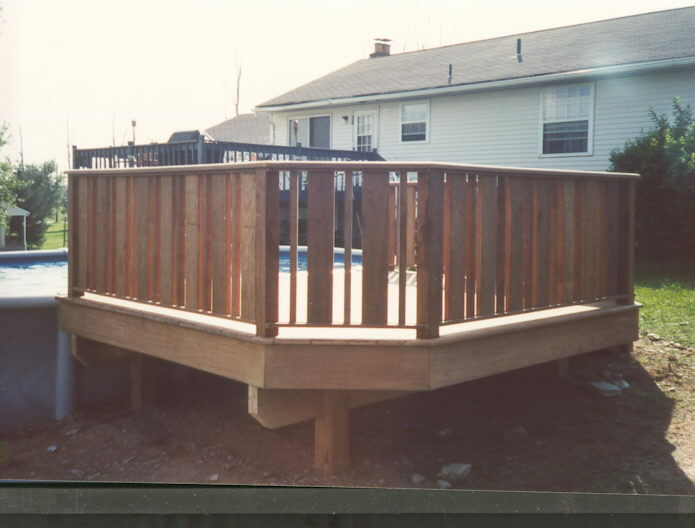 Pressure treated two tier deck with hot tub. 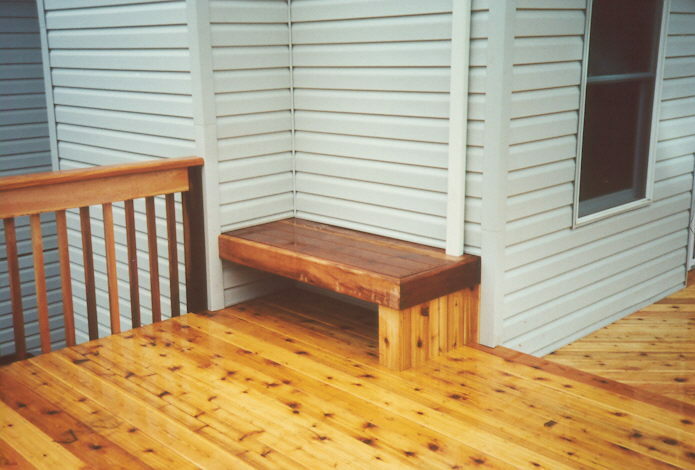 Pressure treated benches and tables. 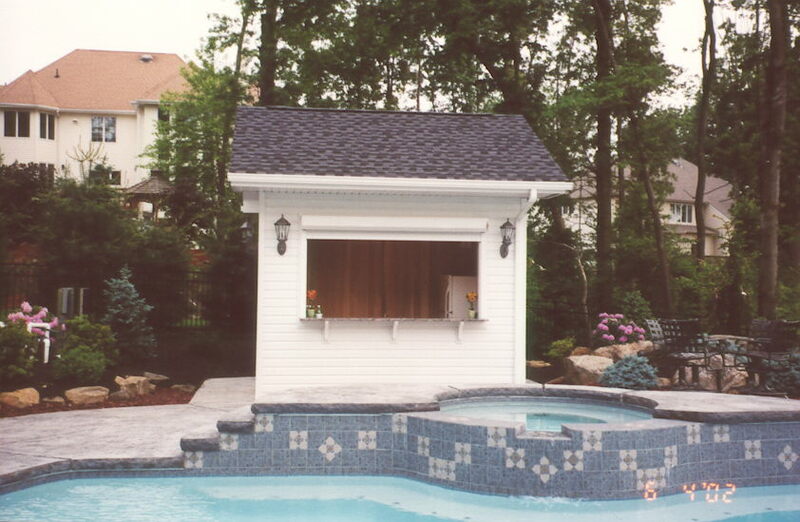 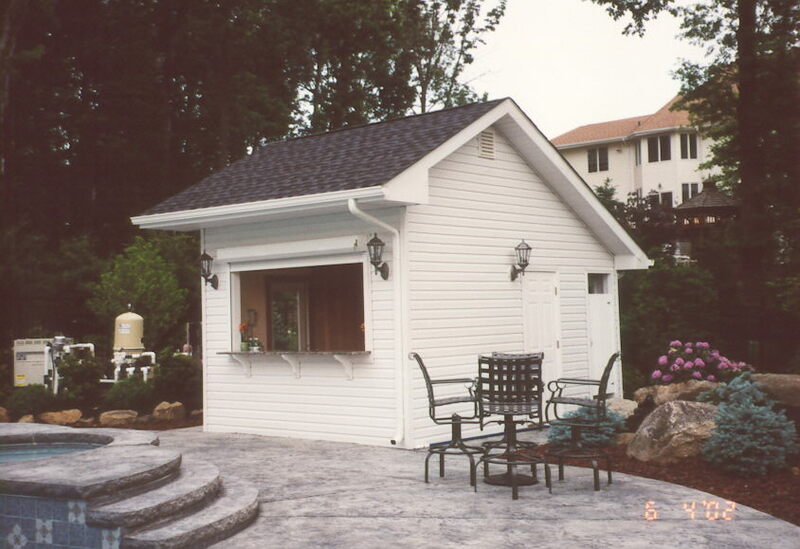 Pool Cabana with outside bar area, granite counter tops, and cedar interior.